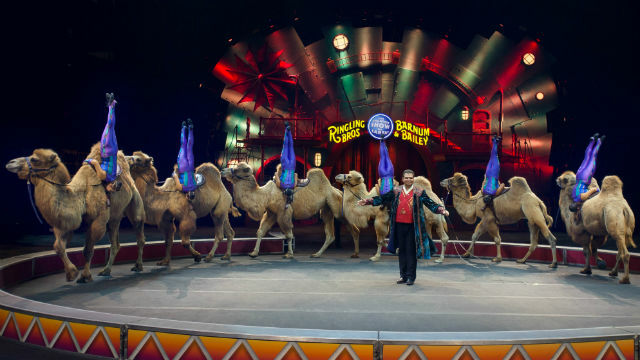 Ringling Bros. and Barnum & Bailey — known by generations as “The Greatest Show on Earth” — comes to San Diego this week for seven performances at the Valley View Casino Center. Guided by Ringmaster David Shipman, San Diegans will see a new production called Circus XTREME, which combines traditional elements of the circus with acts inspired by extreme sports and competitive acrobatics. Over 100 performers from 13 countries will participate. “We wanted to create a show that keeps pace with modern families and caters to the ‘edge-of-the-seat’ thrill that parents and kids are seeking in live entertainment,” said producer Nicole Feld. Before the show starts, early visitors can see the animals up close, meet performers and try on costumes. Performances are at 7 p.m. Thursday, Friday and Saturday; matinees at 11 a.m. Friday and 11 am. and 3 p.m. Saturday; and final shows at 1 p.m. and 5 p.m. Sunday. Ticket prices range from Ticket prices range from $15 to $65.